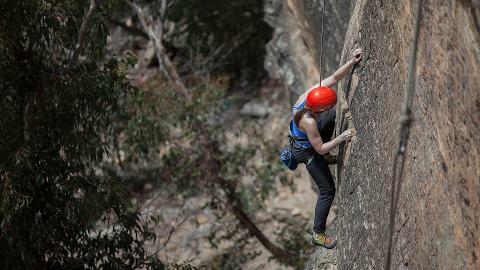 Rock 1 is the best known, most widely attended, two day entry level climbing course in Australia. "I heard such great things about this company that both my friend and I travelled interstate just to join the Rock 1 course with them. I enjoyed myself so much over the weekend that I extended my trip and joined another traveller on the Rock 3 course immediately after." 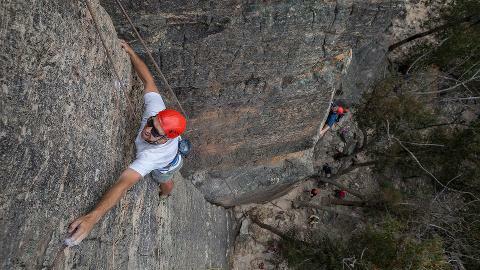 "The two day ROCK 1 package was an excellent introduction to outdoor rock climbing. The guides were friendly, professional and were flexible to change the package due to weather and customer skill level"
This course is designed for participants with little or no previous outdoor climbing experience, it is also an excellent transition from indoor to outdoor climbing. 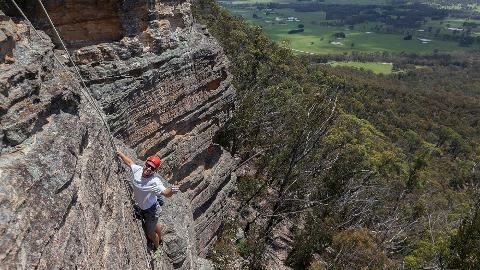 Quite simply you will experience a lot of fine Blue Mountains climbing while undertaking world standard technical rock and rope skills training. We can also run this course on a personal instruction / private group basis for those who prefer to select their own dates. 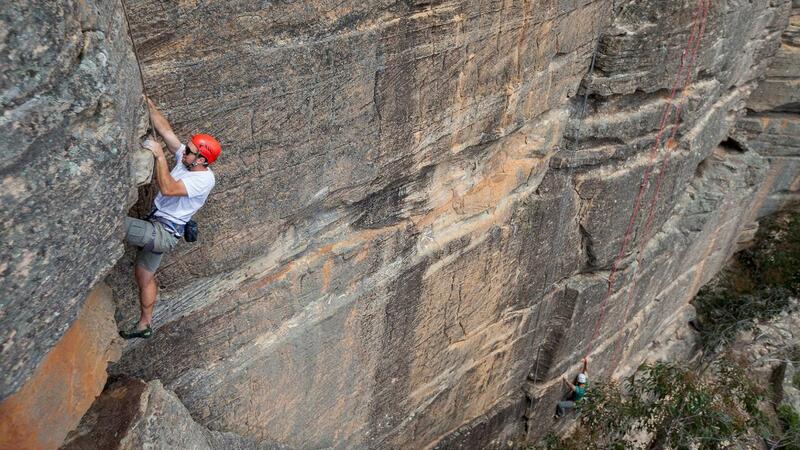 Throughout the first day your instructors will accompany you on a special selection of graduated climbs. 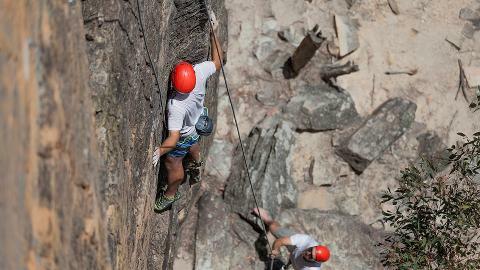 Our focus is to get you on the rock and progress from easy to more challenging climbs. We utilise many climbs and have something for all skill levels! 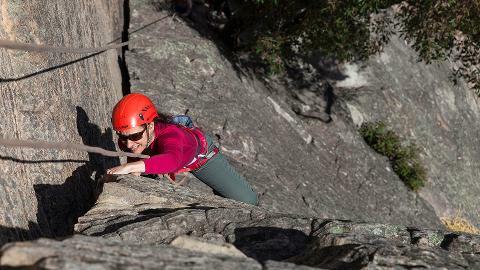 The second day of the course is devoted solely to the simple joys of climbing, with your instructor aiming to take you on as many varied climbs as possible. The object will be to learn and develop your skills and techniques as you climb! 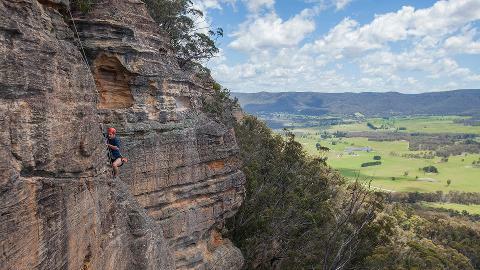 This is the ideal course for the beginner or indoor gym climber who wants to make the transition to real rock- After this course you will be able to competently climb with experienced leaders on short moderately graded rock climbs.